The first show of 2014 started with Dig It Winter Series. Lydia was away so I helped to run the show with a few other Dig It guys. I had a lot of fun but I was very busy in between runs. 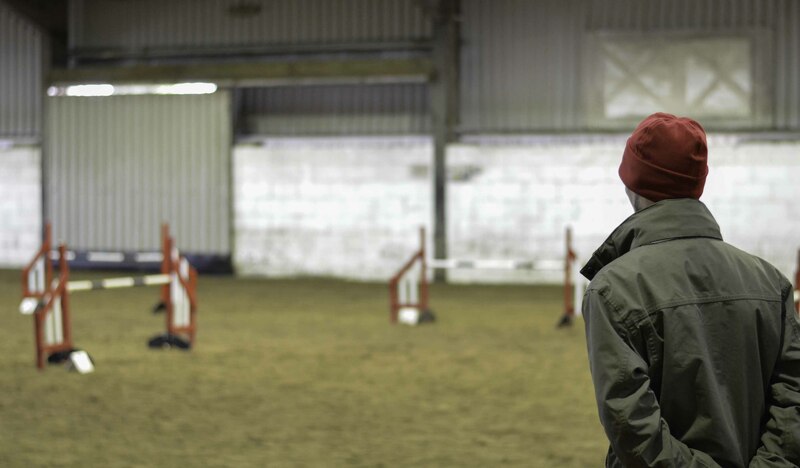 Amanda Hampson judged the Advanced and Intermediate Jumping and it was a pleasure to see and try her courses! 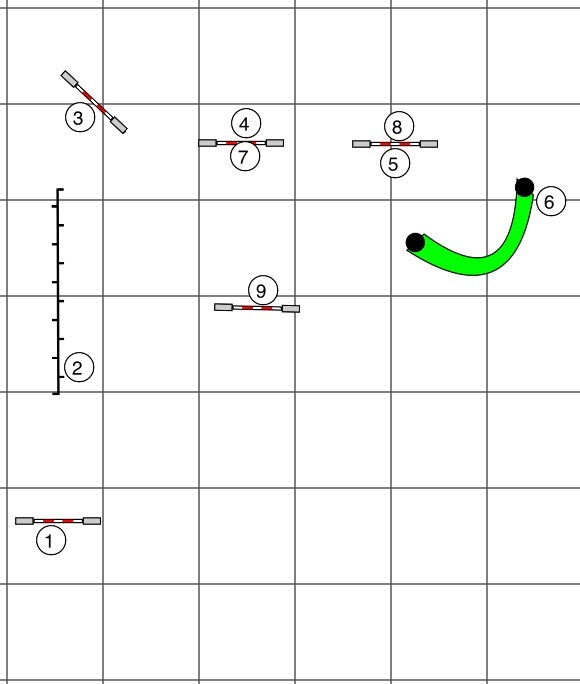 I am continuing with NFC runs and chose to do a 9 obstacle sequence from her course. There was a flick flack/serp that didn’t quite go to plan with a tunnel drawing them away from the third jump, I couldn’t get it even with two tries. However weaves we managed 12 poles once but 3/4 times popped out at pole 10. 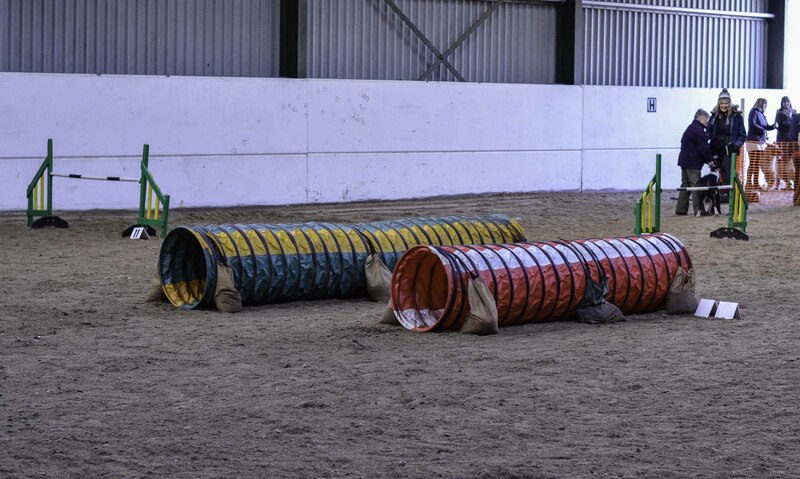 In Agility I made my own course but included a nice 3 jump sequence from the judges course. Again we popped out on 10 weaves so I didn’t attempt them again. The sequence didn’t go to plan either however our contacts were good. Watching a friend run I saw them make a handling choice different to mine that worked much better! I watched and immediately thought “of course, why didn’t I do that!”. It seemed like such an obvious option yet I’d missed it. The same with the Jumping! I am failing to see all of the handling options. I look with blinkers on and see one or two options, make a decision and then go for it. It’s something that I need to work on and also an ability that I want to pass to my students, so I best get better at it myself! Perhaps more time walking the course?! Or at least concentrate more while walking and broaden my mind. Steeplechase I blasted for a run but I’d got my Dublin boots on and I tried to lazy handle/push Guinness out and i left him too far. We didn’t train track! I went off the rails. This show was a lot of fun! I had a bit of a lazy start (I was there by 8.30am nonetheless!) and had a wait until first run so I got my camera out and did some photos and filming for Dig It. There were three rings with two clubs providing ring parties so everything was well run and the rings moved quickly. Agility first and a tricky handling section with lots of options got quite a few people pondering while walking it. I made my choice and was really pleased as it worked well, flowing smoothly into the tunnel! (Hurrah my course choices are getting better perhaps). I ran for training but stuck to the course as it allowed everything I wanted to work on. 6 weaves and we nailed the entries plus Guinness powered through them so fast he got stuck! Really impressed! Contacts were good although he released on my movement more than he should, however he had stopped so promising for competition. Jumping was a nice up and down blasty run with 6 weaves from the tunnel. Again amazing weaves and only missed 1 out of 5. I pushed our waits aiming to leave Guinness closer to the edge of the ring. As you can see from the video he doesn’t even think about it in the agility, as soon as the lead is off he goes. However our other runs were better with some nicer waits. I’m struggling to see how we will bridge the training-competition gap! At the moment it looks like a huge, bottomless valley. Steeplechase was a fun course from Becky Sargent with two tunnels next to each other. Although some say this tests nothing, as it is not obstacle discrimination, I had a lot of fun! I didn’t guide Guinness enough nor judge how long his jump is (partly due to not walking it) and and we got Eliminated when he took the furthest tunnel rather than the one closest to me. Never mind still a fun run with some good distance work and rear crosses. Only two more shows to go and competition season is creeping closer and closer! I am hopeful that our waits outdoors will be better as Guinness was always happier on grass last year. The Dig It Club Comps start in March so I’ll be out there as soon as possible, pushing and testing our waits!